This is according to Ministry of Foreign Affairs and Trade C.E.O. Peseta Noumea Simi, who added that Samoa is in the technical negotiating team for pillar two on development cooperation. “Samoa has also registered its interest to be the host of the signing of the post-Cotonou agreement,” Peseta told the Samoa Observer. Peseta was part of the Pacific A.C.P. delegations that attended a series of trade meetings in Apia last week. 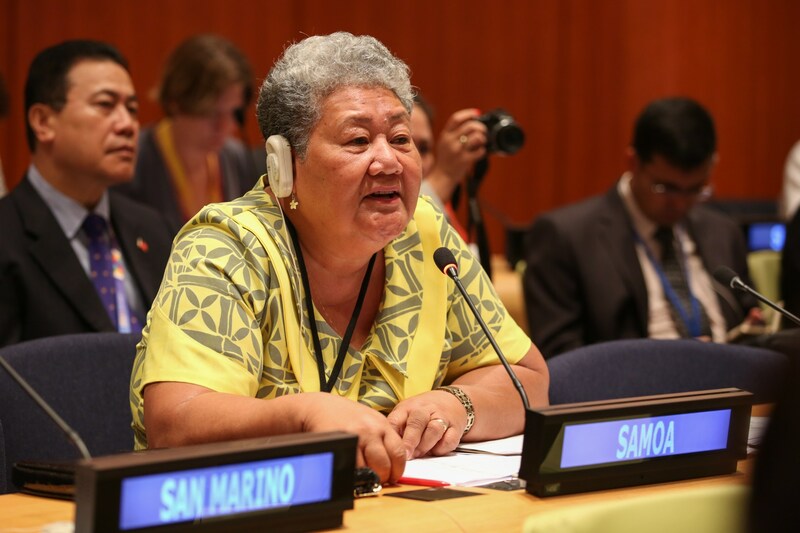 “Samoa has used the opportunity (trade meeting) to update and share its experiences/information with Pacific neighbours on all trade agreements Samoa is party to as well as its membership in a number of trade organisations. The Cotonou agreement aims to reduce and eventually eradicate poverty and contribute to the gradual integration of the A.C.P. countries into the world economy. It is based on three pillars: development cooperation, economic and trade cooperation and political dimension. By February 2020, a new agreement is to be effective, and the discussions held in Apia were to basically discuss on one aspect of the negotiation – trade, which is one of the three pillars of the post-cotonou arrangement from the Pacific A.C.P. countries. “There is no firm decisions made at the moment, we are looking at all the options that is available for the Pacific region and of course we’ll be making an assessment in the near future on the Economic Partnership Agreement and the post-cotonou arrangements,” Pacific Islands Forum Director (Policy – Economic Governance) Shiu Raj said. “These negotiations will be taking place in the A.C.P. countries and in the E.U. headquarters in Belgium and all those aspects of negotiations are going to be determined by the parties and of course the A.C.P. group has already declared what their negotiating mandate is. Peseta said Samoa like all other members of the Africa Caribbean Pacific (A.C.P.) Group is preparing for the negotiations process with the European Union to be launched soon. “One of the most important factors to note is maintaining the solidarity of the Group. A single agreement is intended and regional specificities will be defined under the technical working groups for each of the broadly defined pillars of political cooperation, development cooperation and economic and trade cooperation. “The European Union is one of the key partners of the Pacific region – Pacific ACP countries and its regional organisations must ensure that they are in readiness for the post Cotonou arrangements,” she added.